Winter will soon be upon us – so use these tips to make sure that you and your home are winter ready. Check gutters and down pipes for blockages caused usually by leaves, roof moss or even old bird nests. If blocked, heavy rain will spill out and may cause damp issues as it runs down outside walls. Check your brickwork and roof for slipped tiles, gaps in pointing or cracked bricks. Rain – especially driving rain – will find it’s way in and may damage internal decorations or wet the insulation in the cavity. If you’re worried about the brick work consider applying a product such as StormDry which helps to repel water. Check your loft. You’ll soon spot any missing tiles but also make sure that in cold weather no pipes will be likely to drop below 0c. this may happen if you have recently had the loft insulated as less heat will be lost from your home in to the roof space. Frozen pipes lead to leaks, and no end of hassle! If your house has suffered condensation over the Summer, it is likely to only get worse once the heating goes on, the windows are shut and the weather gets worse. Don’t ignore it, it is unlikely to rectify itself – get an expert to find out why there’s a problem. Check outside lights. Make sure they are in good order to keep your home safer during dark evenings. 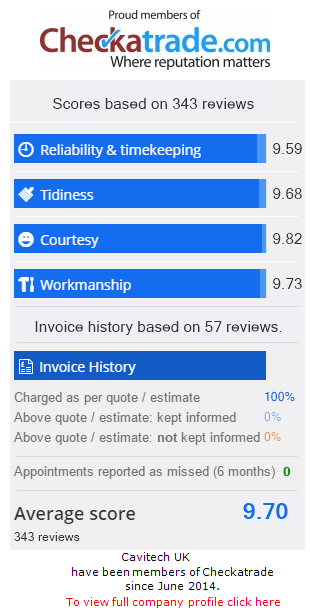 Find verified tradespeople on Checkatrade or give us a call. If you have any special needs contact Social Services who will give further advice.